This book examines the ways in which new information and communication technologies (ICTs) are being used by civil society organizations (CSOs) to achieve their aims through activities and networks that cross national borders. These new ICTs (the internet, mobile phones, satellite radio and television) have allowed these civil society organizations to form extensive networks linking the local and the global in new ways and to flourish internationally in ways that were not possible without them. 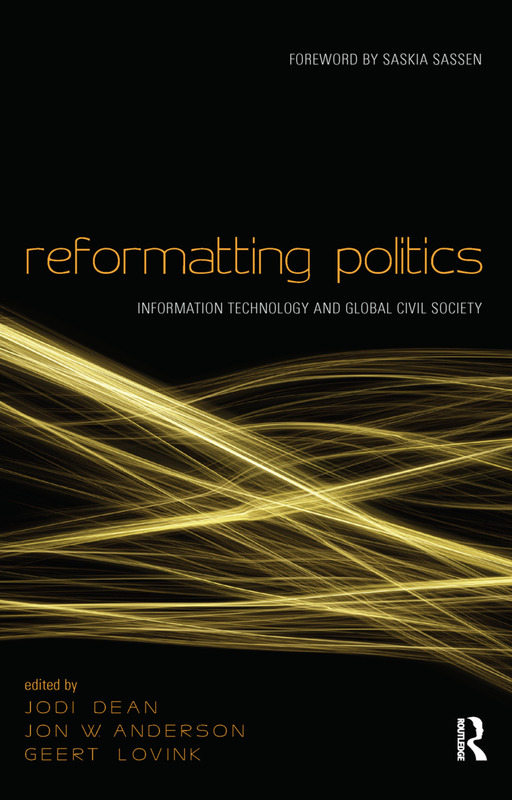 Reformatting Politics consists of four sections containing essays by some of the top scholars and activists working at the intersections of networked societies, civil society organizations, and information technology. The book also includes a section that takes a critical look at the UN World Summit of Information Society and the role that global governance has played and will play in the use and dissemination of these new technologies. Finally, the contributors aim to influence this important and emerging field of inquiry by posing a set of questions and directions for future research. In sum, Reformatting Politics is a fresh look at the way critical network practice through the use of information technology is reformatting the terms and terrains of global politics.